Geeks on Tour teaches that Every Traveler Needs a Blog! We teach how to use Google’s Blogger program to write your blog because we think it is by far the easiest, and most reliable system out there. We’ve been keeping our travel blog on Blogger since 2003 and we are still very happy with it. Its main competitor is WordPress. We use WordPress for our entire business website (what you’re looking at right now) and it is a wonderful system, but way more complex than is necessary for a personal travel blog. Blogger.com is entirely web-based, you don’t need any software on your computer in order to use it, just browse to Blogger.com, log in to your Google account and start blogging. Hey! You don’t even need a computer! We were teaching our Technology for Travelers seminar at an RV park last week (Thousand Trails, Peace River) and we spend, at most, 15 minutes on teaching Blogger. After showing this video: Create a Blog in 3 Steps with Blogger #036 *FREE we asked the audience, “How many of you think you can make a blog now?” Everyone in the room raised their hand, and we heard one voice from the back saying, “I just did!” Using her smartphone, and watching the video, she created a brand new blog while she was sitting in the class! … and that happens often. What you do need for Blogger is an Internet connection. Lots of people, especially travelers, tell us they want to write a blog post when they are offline and upload it later. The native Blogger.com has no facility for that, but there is a free software from Microsoft, called Live Writer that can. Rather, there was a free program from Microsoft. That program is now obsolete, at least for using it with Blogger blogs. Microsoft decided is was not a priority and they discontinued support and upgrades. So, when Blogger.com changed the way logins work, the Live Writer program no longer works to upload to Blogger. Oh No! Some people depended on Live Writer to the point where they really did not want to use Blogger.com’s native facility for writing their blogs. Luckily there are some dedicated, volunteer, programmers out there willing to take over the project and Open Live Writer (OLW) was born. It was released on December 9, 2015. You can go to the link to download it. Please notice that Open Live Writer is a project by volunteer programmers, you know what volunteer means right? They’re gluttons for punishment! There have been many problems since it was first released, but it seems to be clearing up. I used the new OLW and consistently got errors trying to publish to my Blogger blog. Today, I uninstalled OLW from my computer, re-downloaded the installation file from http://openlivewriter.org/, installed that and everything is working just great. Open Live Writer is Windows software, so if you have a Mac, it won’t work. There are alternatives (ScribeFire, MarsEdit, Article on Desktop Blog Editors for Mac) but I haven’t used any of them and cannot recommend. Blogger.com can be used directly from any computer, phone or tablet, and Google is updating it all the time. Blogger.com works really well with pictures in Google Photos. I can take a picture with my phone, open Blogger.com on my computer and add the picture to my blog that I just took by using the “Add Image … from Phone” option. SO quick and easy. It appears that Google is very committed to Blogger, there are important recent updates such as HTTPS support coming to Blogspot, and Highlight the posts that matter the most. Bottom line: there is no reason why you can’t use them both. 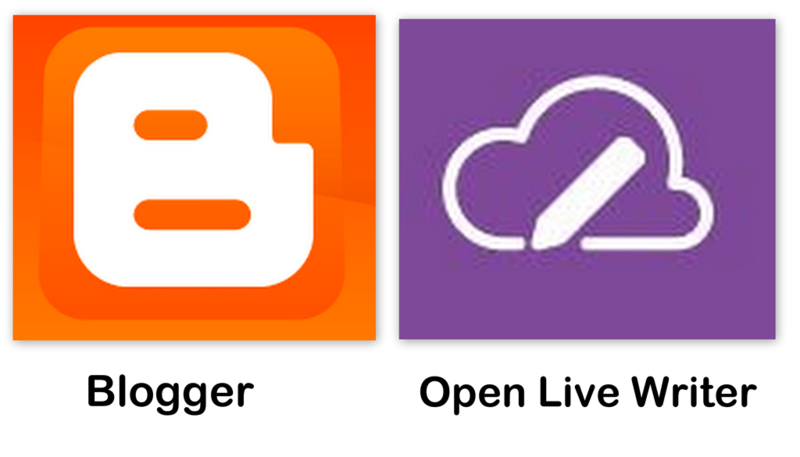 I use Blogger.com when I want to use my Google Photos that are online and not on my computer, I use Open Live Writer when I want to work offline, or I need one of the special features like making tables. For the last year or so, I had been using the native Blogger.com for making my blog posts, so I was blissfully unaware of the problems with Live Writer. Thank you to Sharon DelRosario and her blog, Gypsy and the Mariner, for alerting us to the Open Live Writer launch, and to Rick Doyle for – all sorts of Tech news and advice, but specifically for getting Sharon’s blog back up and running with Open Live Writer! To enjoy full access to the Geeks On Tour Library of “How To” Videos for Blogger and other topics including the Weekly Show Notes sign-up for a membership today! Published by MrsGeek, in Blog. Tagged with #GeeksWhoTeach, Android, Apps for Travelers, Blogger, blogger.com, Blogs, Droid, Geeks on Tour, google, Google Photos, iPad, iPhone, Open Live Writer, openlivewriter.org, shadonrv.blogspot.com, Smartphones, Tutorial Video, WordPress.